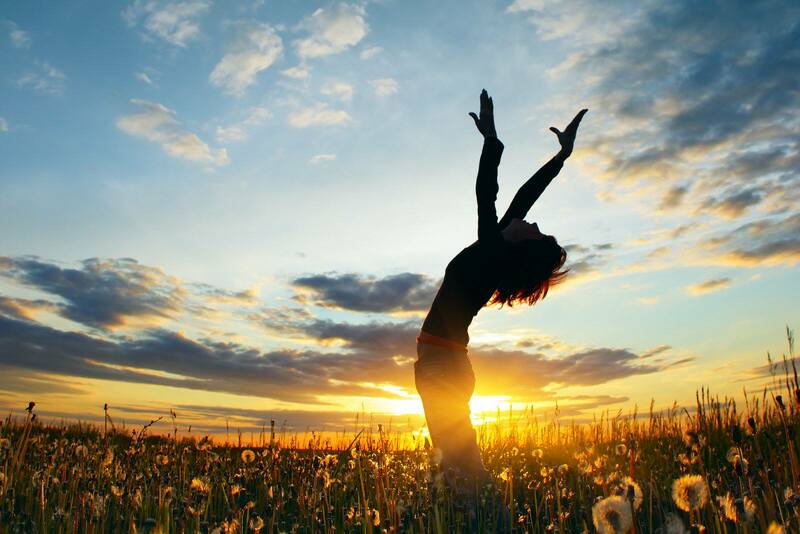 You know firsthand just how beneficial yoga can be in your everyday life. Why not share that experience with your little ones? Children can benefit just as much from a regular yoga practice as adults can. From the toddler years, you can start working on breathing practices, basic asanas, and teaching the art of mindfulness long before they start to pick up bad habits from society. If you’re interested in attempting to practice yoga with your kids, there’s never been a better time to get started. This can ultimately create a fun bonding experience for you and your child. Follow a few of these easy steps to start practicing yoga with your kids today! Every yogi knows that the breath is an important tool to feel completely centered and serene during your time on the mat. Learning how to breathe properly is important, and you can never start teaching this essential skill early enough. Before you begin each yoga session, encourage your child to take deep belly breaths. If your child is a little older, you may be able to have some silly moments trying to teach alternate nostril breathing. Even if they have to use their hands to help them, this is a fun way for kids to really feel the difference that the breath can make. Children have notoriously short attention spans. While you may love a lengthy yoga practice, your child isn’t going to be able to really focus on the concepts for more than a few minutes. Start them off with a short and gentle practice so it becomes fun for them instead of a chore. You can be a yogi parent instead of a drill sergeant when you set the expectations low. A good rule of thumb is to start with a simple 15-minute routine. Allow them to practice some of the basic postures like the downward facing dog and the tree pose. If your child loves gymnastics, you may help him/her with some simple inversions before winding down to savasana. Partner yoga may not be an active part of your regular routine, but kids love being able to work with you to create silly postures. Find some simple variations on more complicated partner poses. Your child will love being physically close to you. If things don’t go exactly as planned, laugh it off and enjoy the goofy moments with your child. Teaching your child to love the beauty of yoga from an early age can be incredibly important. It can aid in their overall development and give them the tools they need to manage future anxiety with mindfulness. Not only are you giving them precious tools for their daily life, but you are setting up plenty of space to deepen your relationship with them. These will be treasured moments you look back on in the years to come with laughter and smiles. When winter approaches, your entire body can start to feel cold and stiff. Simple things such as getting out of bed in the morning can become more difficult than ever before. Most of the yogis may need a little extra incentive to unroll their mats and loosen up their bodies and minds throughout the day. A good pair of warm cotton leggings may not be enough to encourage you to practice, and that’s why we feel some advice is more than welcome. Fortunately, there are plenty of reasonable steps you can take at home to create a warm yoga space that you’ll look forward to using. 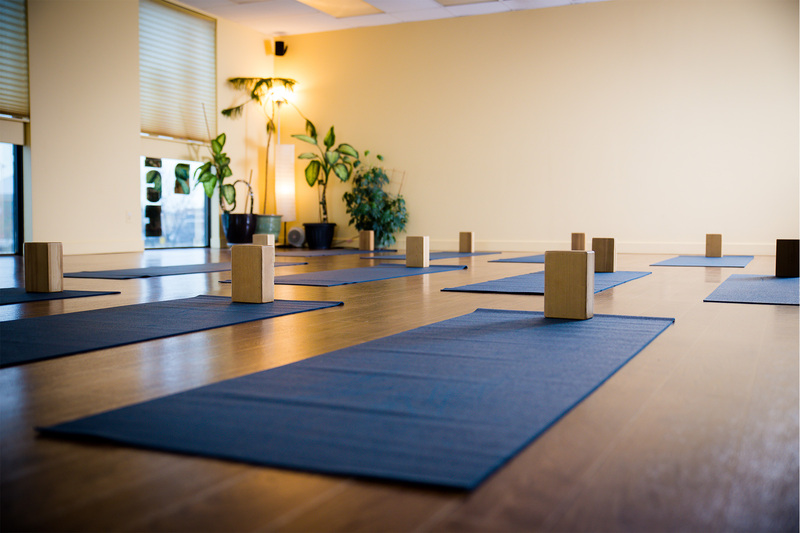 The temperature of a room definitely contributes to the warmth of the space, but there’s a myriad of other options to make your yoga area more inviting. 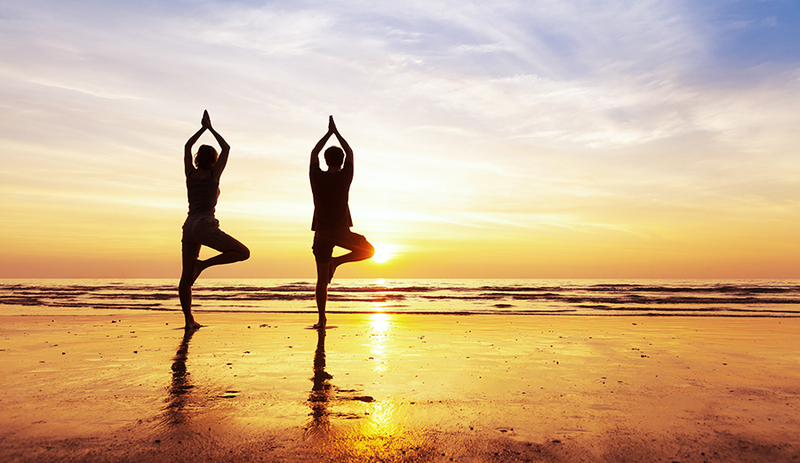 Find a way to incorporate some of these tips into your home or yoga studio today. Scent is one of the most powerful senses of the body, tying itself to our memories and our emotions. Adding a layer of a warm scent into your yoga area can help to ground you and open up your heart to the practice that awaits you. You may also want to consider lighting a candle or diffusing essential oils to bring in an extra element of warmth. 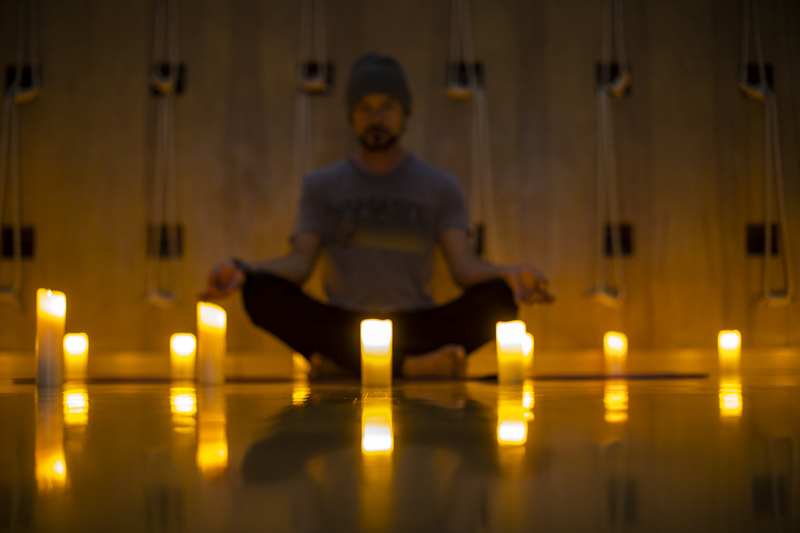 Be careful with lighting a candle in your yoga space. It should be far enough away from your yoga mat that you will not knock it over, even if you fall out of a particular pose. An essential oil diffuser is a safer option for a yoga area that has limited space. The imagery of a cozy blanket nearby may be enough to draw yogis toward their mats. However, a plush blanket can also be an extremely useful prop to help you deepen your practice. Fold it up to sit on in seated poses in order to keep your back straight. You may also be able to use it for extra padding underneath the knee in poses such as the Pigeon pose. Make sure that the fabric of your yoga leggings feels okay up against the material of the blanket. A thick blanket can also make you more comfortable in your final resting poses when core body temperatures drop. Drape yourself with a blanket prior to laying back in savasana for a deeper rest. Harsh or bright lighting doesn’t beckon you into a particular area, so be mindful of dimming the lights in the wintertime. If you practice at home, you may be able to use a table lamp instead of an overhead light. Yoga studies could try to dim the lights or turn off half of their fluorescent lights for a softer glow. The softer appearance of your space makes it feel instantly cozier and more inviting, drawing yogis onto their mats for longer practices, even when it’s freezing outside. If you’ve been struggling to make it onto your yoga mat for a regular practice, try using these three tips to make your space more inviting. They’re relatively simple and utilize items most yogis have on hand at home. These steps might just be the very thing you need to keep your yoga practice going through the winter months ahead.